The letter is "based on experience", said former Chief Information Commissioner Wajahat Habibullah, who is among the signatories to the appeal. The letter refers to "rising authoritarianism and majoritarianism" that "bars debate and dissent". 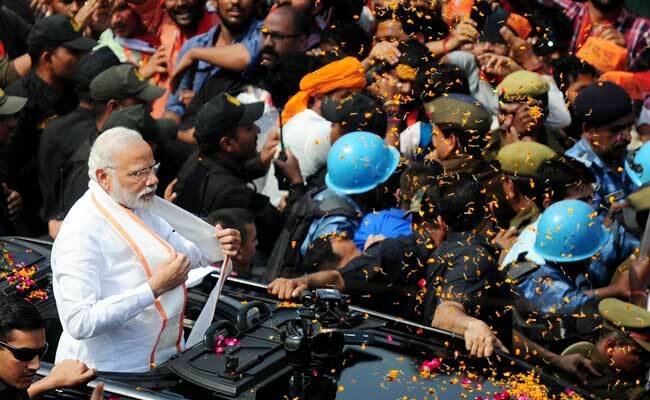 New Delhi: A group of 65 former bureaucrats have, in an open letter to Prime Minister Narendra Modi, urged steps to tackle what they called "growing hyper-nationalism" and "rising authoritarianism" in the country. In the letter, they say that a "sense of deep disquiet" prompted them "to chronicle their reservations and misgivings". They express concern over what they call the "ugly trend of trolling, threats and online intimidation of activists, journalists, writers and intellectuals who disagree with the dominant ideology". "Former members of civil services are in touch with each other and we discuss our mutual concerns, in that context these concerns have begun to rise and we see a more and more obsessive trend seemingly going out of control," Mr Habibullah said today, adding that there was a "consensus" of opinion that the developments in the country are causing concern. "Hyper nationalism that if you are not with me you are against me is very dangerous...There is an increasing trend of vigilantism, trolling and communalism. The country has the strength to get over it. The very core of the nation's existence is in danger," he commented. "There may be irritation, there may be anger, but what we are hoping for is deep reflection." "There is a growing hyper-nationalism that reduces any critique to a binary: if you are not with the government, you are anti-national. Those in authority should not be questioned - that is the clear message," the retired bureaucrats say, appealing to the authorities and constitutional bodies to take corrective action. "It appears as if there is a growing climate of religious intolerance that is aimed primarily at Muslims," it says, referring to statements made during and after the Uttar Pradesh elections earlier this year. The letter was signed by former officers such as former Culture Secretary and Prasar Bharti CEO Jawhar Sircar, former Secretary of Department of Economic Affairs E A S Sarma, former Mumbai police chief Julio Rebeiro and 91-year-old Har Mander Singh, who was among the country's first IAS officers.